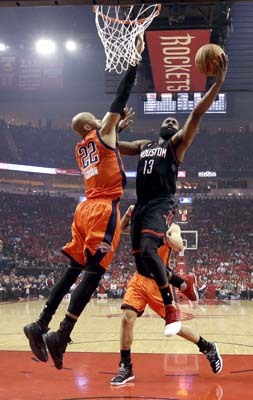 HOUSTON, Texas -- If you're viewing on our ABC13 news app, tap on the photo above to see more images. 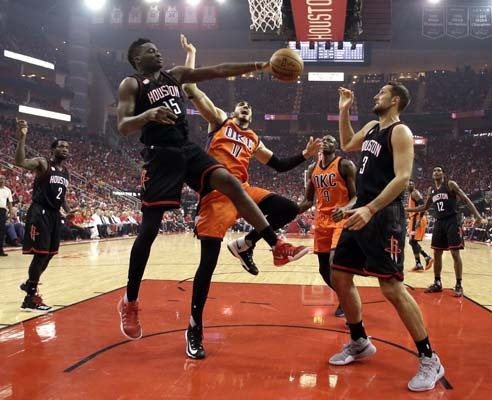 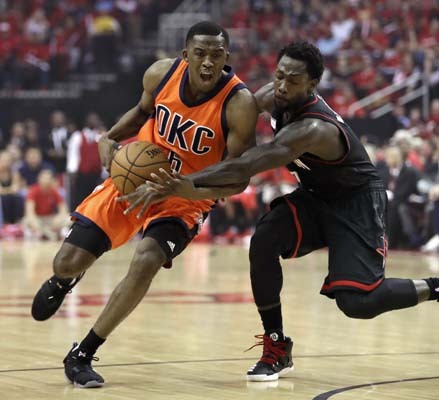 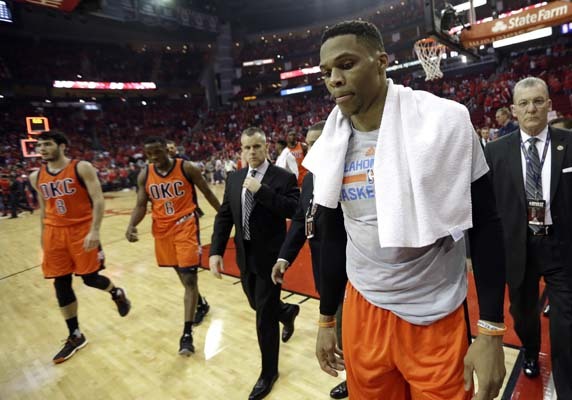 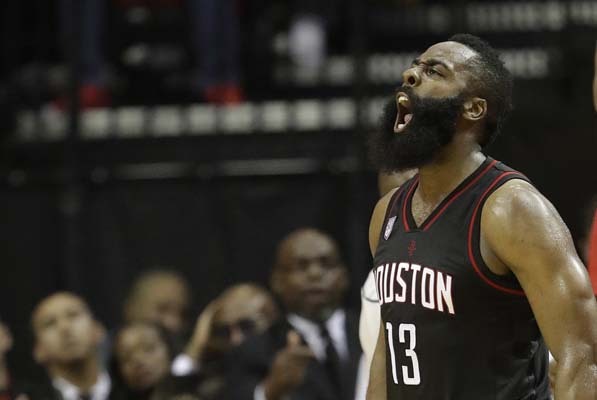 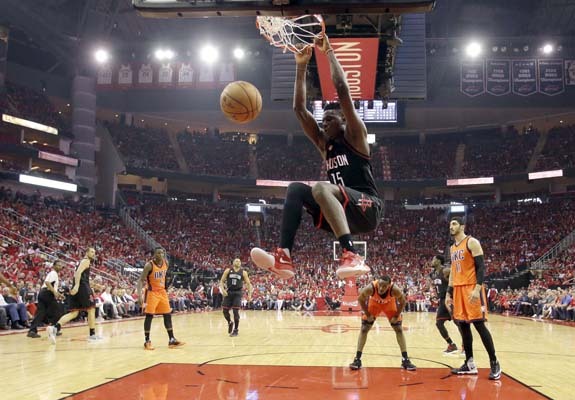 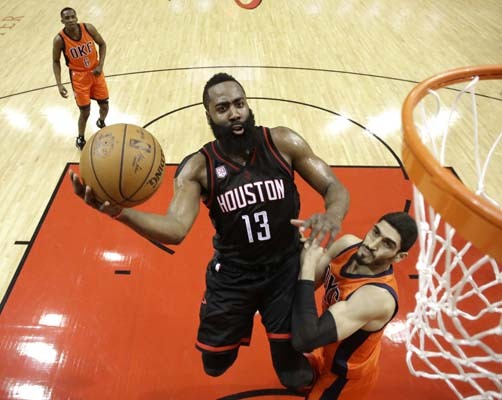 James Harden scored 37 points to outshine Russell Westbrook and the Houston Rockets pulled away in the third quarter and coasted to a 118-87 victory over the Oklahoma City Thunder on Sunday night in Game 1 of their first-round playoff series. 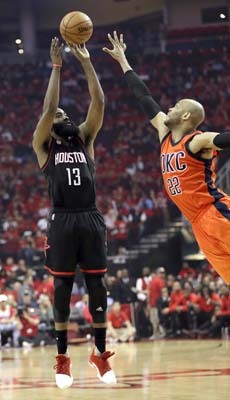 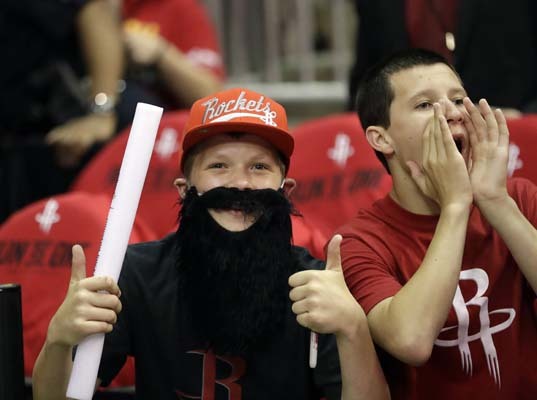 The third-seeded Rockets were up by 20 when Harden came off the bench with about seven minutes remaining. 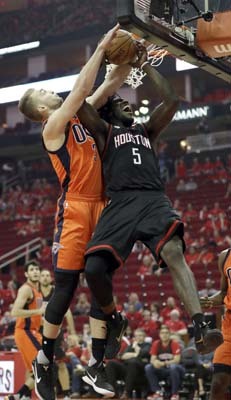 He went right to work - making two 3-pointers to power 10-0 run and push the lead to 110-80 with 4 1/2 minutes left. 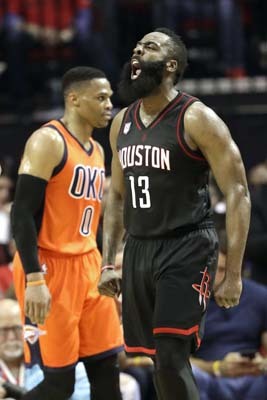 Harden, who along with Westbrook is a front-runner for MVP, went to the bench after that and both teams cleared their benches soon after that. 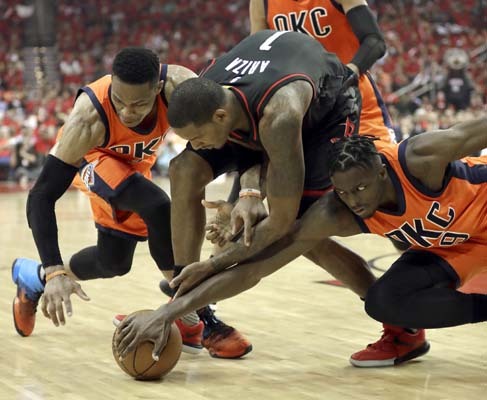 Westbrook had 22 points, 11 rebounds and seven assists, but made just six of 23 shots and had nine turnovers for the sixth-seeded Thunder.